The aim of the group is to allow as many people as possible to enjoy the pleasure of driving a horse and carriage. 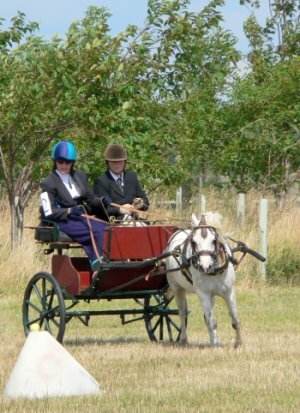 Driving a pony and carriage gives the participant the feeling of freedom from their disability. The ability to move about and to control that movement. We aim to improve the quality of life for people with disabilities that sometimes prohibit many activities. The group achieve their aims by allowing people with a wide range if disabilities to enjoy a physical activity, in good company, in the great outdoors and safely. We aim to encourage social activity as well as interaction with the animals, helpers and other members of the group. We want every person connected to the group to enjoy the 'feel good' factor that comes with achievement. As a bonus, the many good people who are linked to the group by offering their help also benefit by gaining a great deal of pleasure in the hard work that they do.